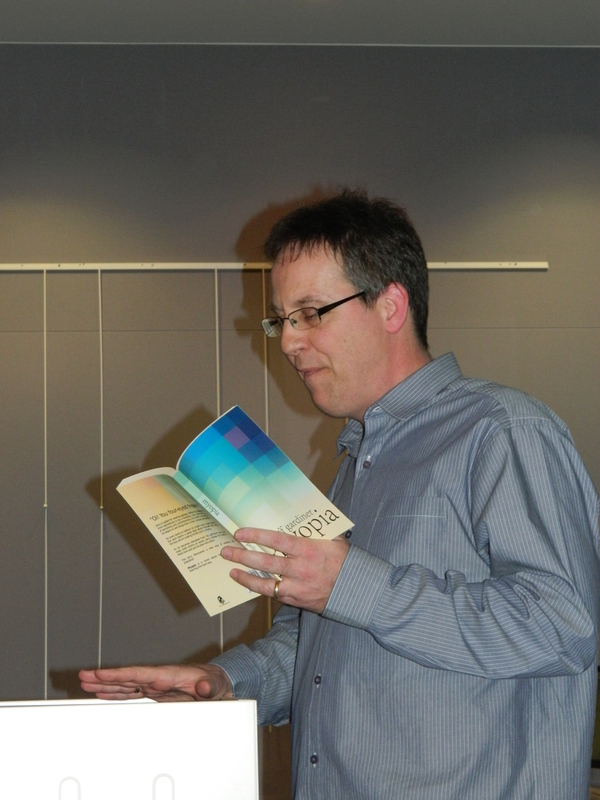 Reading from my novel, ‘Myopia’. The evening was a great success. Thanks to Crawley Library, especially Kate Green, and to WordFest for their support. 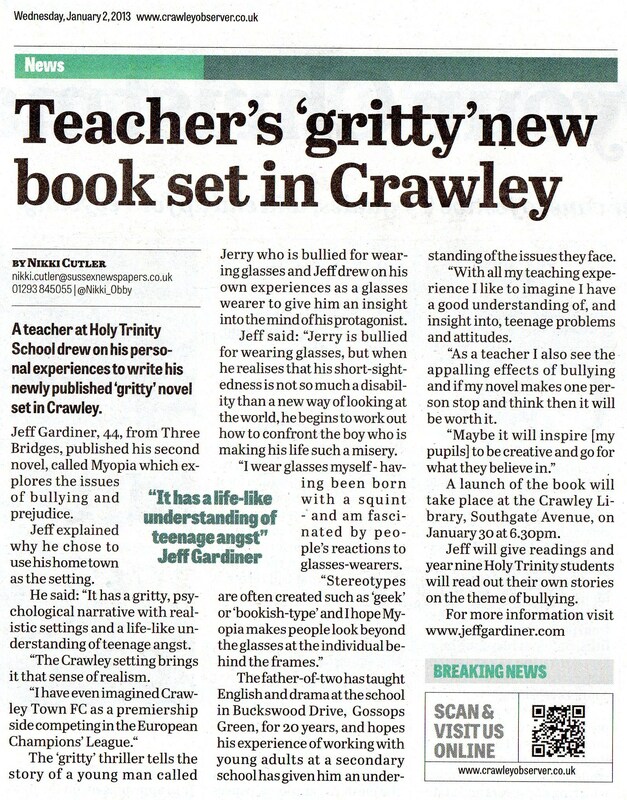 Thanks also to Dawn Clubb, Head of English at The Holy Trinity School, Crawley. Their writings were based on themes from ‘Myopia’ – bullying. prejudice and seeing things from a new perspective. Below is an artist’s impression of the character Mr Platt from ‘Myopia’. Whilst recently searching for a publisher for my non-fiction manuscript I decided to do a bit of detective work on a particular publishing company (one that I have absolutely no connection or gripe with). After scanning this company’s website I discovered that their FAQs give some insight into how they work. The good news was that you don’t have to pay them to print your book. That suggests they are not a vanity publisher. What they are is an independent company which publishes books without providing editorial guidance. It might be that they just print everything they get sent and hedge their bets – but I could be wrong, to be fair to them. All the editing and improvements to the text are completely up to you, the author. In other words they do the technical stuff and create the actual physical book, but the content is completely yours. If you want proof-reading done then they charge for that as an extra. They will do very basic marketing for you through their website but if you want more help they’ll start charging for extra services. It’s always worth looking at the books they publish and to ask yourself if you’re happy to be associated with those. This company seemed kosher, but you have to be happy with your own decision in the end. Alternatively, you could create your own book through Kindle and get greater royalties from it, but that will need even more work from you. This company do that difficult bit and you’ll get 10% of all sales. What’s scary for a writer is if you only sell 25 copies then the return is very small. The other thing to remember is that there are millions of other books out there to compete with. It was also made clear that once the book is created you’ll be pretty much on your own to publicise and get it ‘out there’ – which is the really hard bit. If you’re willing to use social networking sites and contact local press etc – then it will be up to you. It is hard work and very time consuming. On the other hand it’s also enlightening and helps you gain lots of contacts and support from like-minded writers with similar experiences. This company I was researching are quite up front about what they offer and are not hiding anything. It remains to be seen just how much help they’ll give you before they do start asking for money. 1) The price of their books is quite high. These days, people baulk even at £5.00 as I’m finding with my novel as a paperback. People seem happy to download it for £1.99 though. 2) When you read the additional services it seems to imply that they don’t, in fact, turn your manuscript into an e-book unless you’re willing to pay for that as an extra. They only create a paperback version. I think publishers are realising that e-books are the future of publishing (although it’s nice to have a paperback in your hands) so this seems a little bit sneaky. You also have to pay a lot to get it as a hardback. One nice thing they do offer for free (unless I’ve misread the small print) is that you you get 40 copies of the book for reviewers and marketing purposes. That’s a good deal if that’s correct. Giving the right advice to enthusiastic unpublished authors is difficult. The word in the industry is this: a real publisher will never ask for money. However, things are changing and there are a lot of new indie publishers appearing offering different services. Self-publishing is now taken more seriously, although the lack of editing and quality control remains a problem. It might depend what you want from your book. If it is wealth you seek, then you need to get with one of the big six publishers (almost impossible if you’re not a known name) or get a lucky break. If you’re happy to keep it small-time like a hobby – then this might be one way in. Publishers, like all companies, are looking to make a profit. 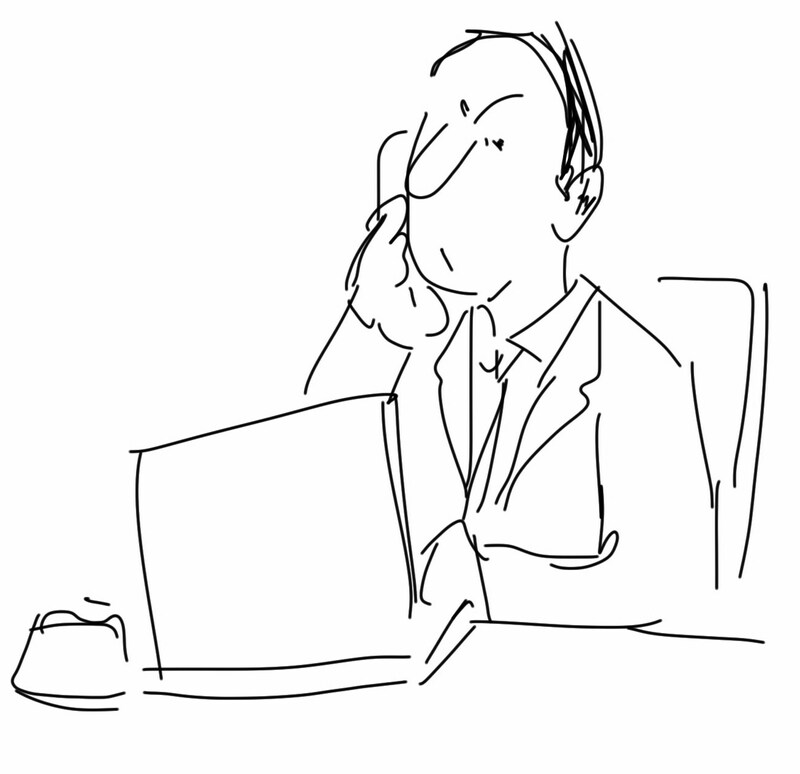 You need to ask yourself if they are genuinely interested in your book and whether they serve your interests well. When I first started writing I had to allow many of my stories to be published with absolutely no payment whatsoever, just to get a profile and a name ‘out there’. You have to remain objective and weigh up your decision carefully. I don’t want to shatter anyone’s illusions and possible ‘big moment’. It might be fine but I think you should ask lots of questions and be a bit wary before committing yourself. If the publisher can’t be 100% transparent then they probably have something to hide. Email them with lots of questions and see how they respond. It’s a business after all and you need to be happy with your decision. Deal with them in a business-like way. I’ve worked with two small presses in the UK: Eibonvale Press and Crooked Cat Publishing. Both are fantastic groups to be associated with and I heartily recommend them. I now feel like I’m in a community with other authors and professionals who are incredibly supportive. The owners/editors are easily available at all times. Neither of these publishers charges for anything at all. I haven’t paid them a single penny and they have done everything, including editing; proofreading; marketing; creating a paperback and e-book available in all formats in Europe and USA. Maybe I was just lucky. You could be too. The best advice I can give is … never give up and believe in your work. Jeff Gardiner is author of Myopia, a contemporary novel about bullying, prejudice and seeing things from a different perspective; and A Glimpse of the Numinous – a collection of short stories. Yet another article about MYOPIA! My novel, Myopia, and K.B. Walker’s Once Removed both explore this important and difficult issue.